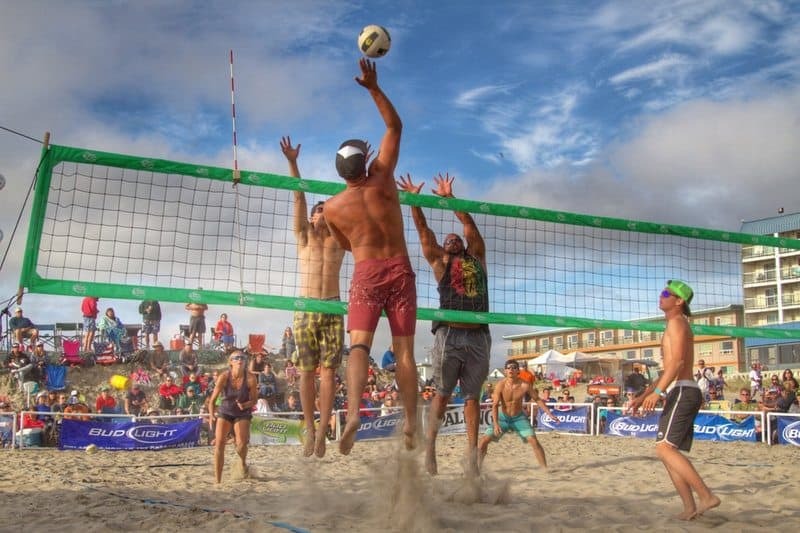 For the last 30 years Seaside Oregon has hosted the world’s Largest amateur beach volleyball tournament with over 1,200 teams playing on 110 courts! On August 7th, 8th, and 9th of 2015 it’s going down once again in Seaside. 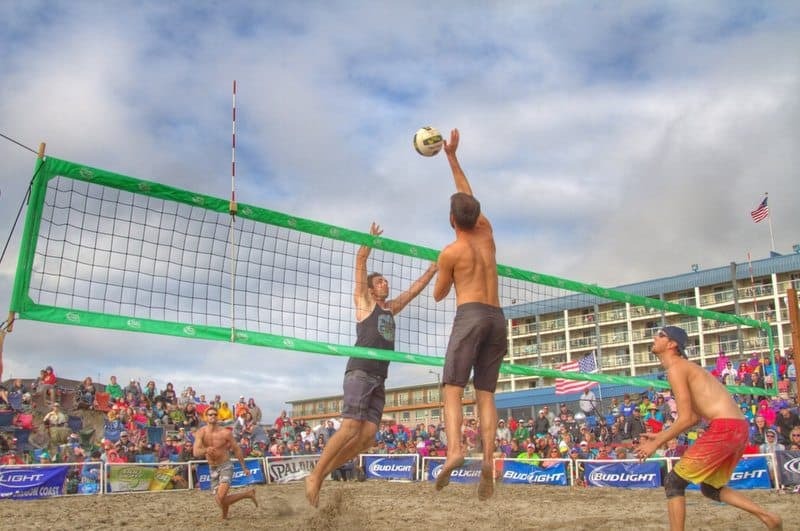 Volleyball players from around the world will converge on the beach in front of the Turn Around. This year we are expecting record crowds and should have well over 1,000 teams competing in a variety of different divisions. Depending on the turn out, prize money can be as much as $15,000 for the winning teams. Event organizers estimate that over 10,000 spectators watch the volleyball matches each day with the two person team finals held on Saturday night, and the mixed gender team finals on Sunday evening. This event is sponsored by the Seaside Chamber of Commerce and you can get more information at the Seaside Beach Volleyball Website. 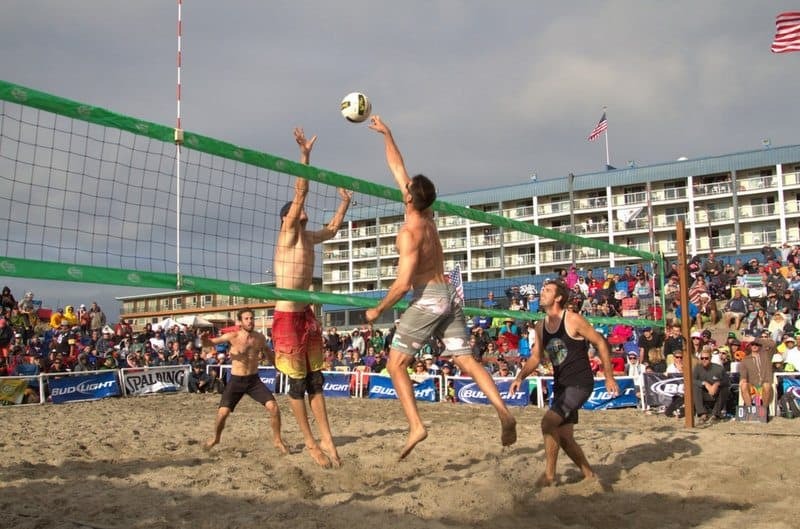 As a native of Seaside I have attended the beach volleyball tournament as long as I can remember. I especially enjoy hanging out in the Bud Light VIP tent at center court with the crew from Clatsop Distributing. The photo above was taken during the women’s finals during the 2012 event. 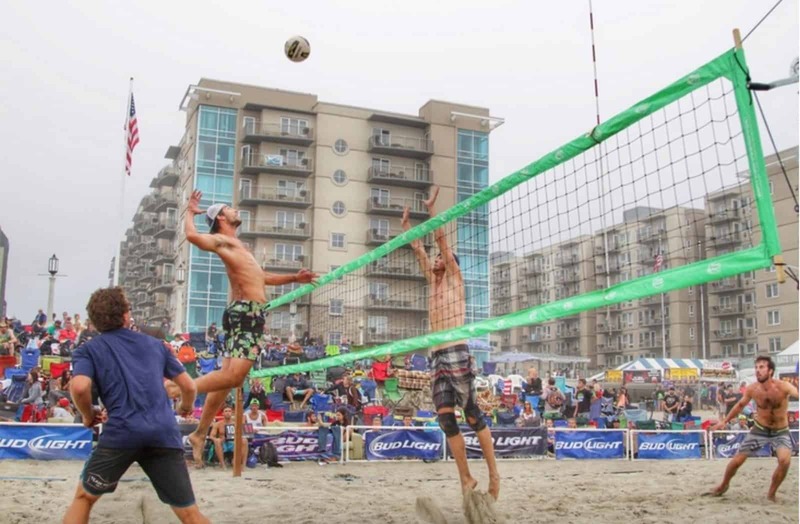 Morrisey Productions will be at the beach all weekend taking photos and filming the men and women’s final match. 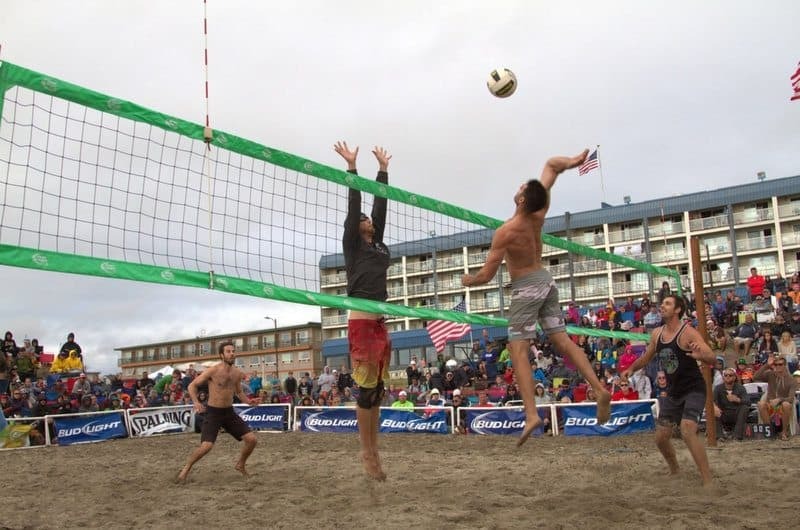 Keep reading to see our older videos of previous beach volleyball tournaments in Seaside Oregon. 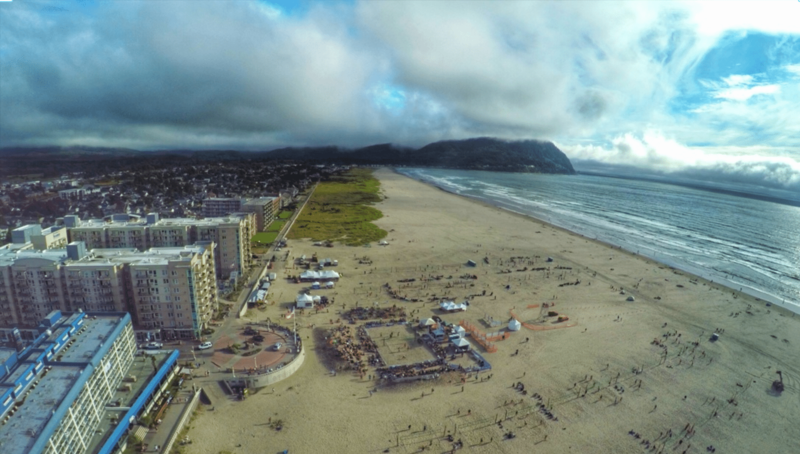 If you want to know what to expect at the 2015 event, check out this video we filmed of the 2010 Seaside Beach Volleyball Women’s Final match. The center court is where the excitement is because that’s where they play the best teams and the finals matches. As you can see the people in the crowd do a lot of drinking which makes it a lively event. The Seaside Chamber of Commerce also brings in a DJ to keep it interesting. Morrisey Video Production also filmed this video of the 2010 Men’s Beach Volleyball final match. The finals is always the most exciting part of the tournament. The Morrisey Productions crew will be at the 2015 event and I hope to see you all there! If your interested in video production or photography for your event or business CONTACT US for a free no-obligation quote.